KEARNEY – When Brett Douglas heads to a corporate gathering, it can feel like an alumni event for his alma mater. 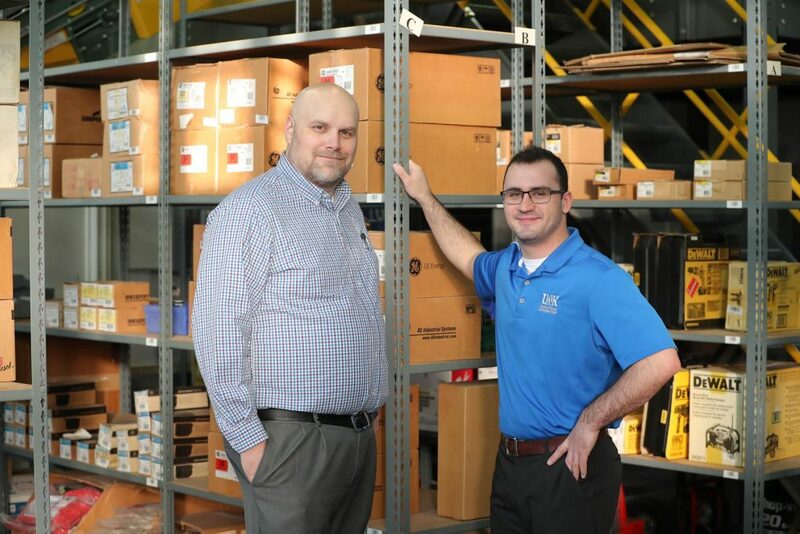 The owner and president of Kearney Winnelson, a wholesale distributor of residential and commercial plumbing supplies that’s part of the Winsupply Family of Companies, runs into plenty of fellow University of Nebraska at Kearney graduates in his line of work. UNK is a national leader in the industrial distribution field, offering a specialized program that prepares students for careers in technical sales and management. Graduates work for manufacturers and distributors across the world, supplying businesses with the inventory and tools they need to operate. You can find them in a variety of industries, from agriculture, automotive and aerospace to electronics, fluid power and health care. The UNK program has a job placement rate near 100 percent, a reflection of its quality and the high demand for workers in this area. “A vast majority of our students have an offer or are hired for a job before they walk across the graduation stage,” Brachle said. The biggest challenge, he said, is finding enough students to meet employers’ needs. Douglas, who played guard and center for the UNK football team, called the industrial distribution program a “perfect fit” for his personality and career goals. The Ravenna native enjoys the sales side of the profession, as well as the daily interaction with customers and vendors. 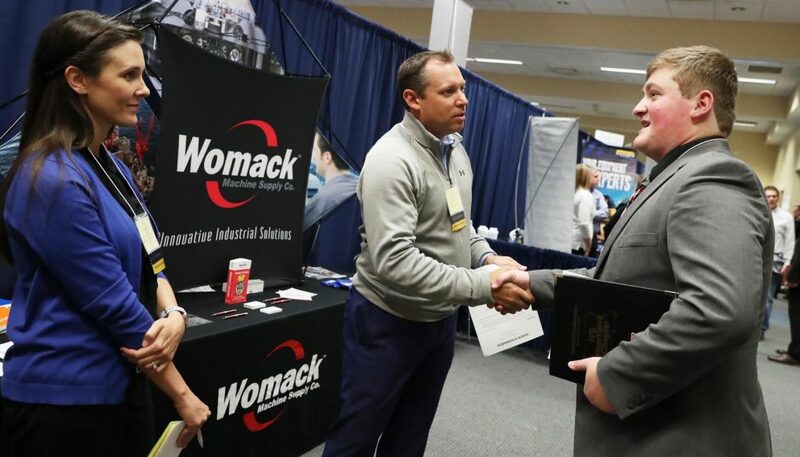 The company, a leading supplier of materials for construction and industrial use, supports nearly 600 local owners who run wholesale distribution businesses focusing on specific products, such as plumbing, HVAC, electrical or landscaping. Douglas started working for Winsupply affiliates in Lincoln while attending UNK, then he was hired full time to take over the Kearney location. He became president and owner of Winnelson about two years ago and currently has three UNK students on his staff. Brachle and the other industrial distribution instructors work closely with a group of companies to develop curriculum that meets today’s industry standards while adding value for students. These “program partners” are represented during guest lectures, career fairs, sales competitions and networking events; their products fill a branch simulation lab where UNK students gain real-world skills without leaving campus; and their financial support provides scholarships for industrial distribution majors. In addition to the technical, business and leadership skills they acquire in the classroom, UNK industrial distribution majors also complete a 12-week summer internship before graduation. “You put those two pieces together and you get a student who has a unique skill set that a lot of companies are looking for,” Brachle said. 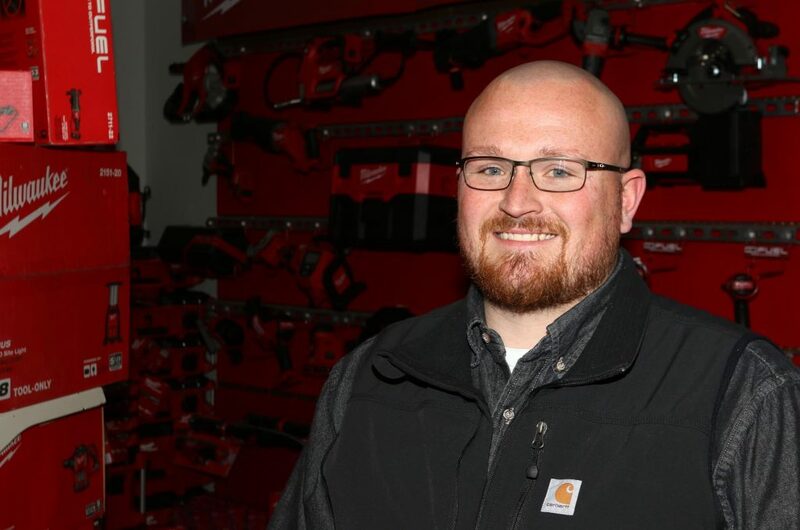 Industrial distribution is a great career path for students who enjoy working with other people and want the freedom that comes with getting out of the office, according to Brachle, a 2002 graduate of UNK who worked as a manufacturer representative for Black and Decker and DeWalt power tools before returning to his alma mater as a faculty member. That describes Levi Rosenquist to a T.
The Dannebrog native transferred from the University of Nebraska-Lincoln to UNK specifically for the industrial distribution program. Rosenquist, who serves as president of UNK’s industrial distribution student organization, also saw the success his older brother had after graduating from the program and landing a job with Precision-Hayes International, a global supplier of prestressed and posttensioned concrete products. The 21-year-old spent last summer interning with Enerpac, a Wisconsin-based hydraulic tool manufacturer. He fell in love with the travel, which took him to 11 different states, and the relationship-building with clients, particularly when it occurred on a golf course. An average starting salary around $50,000 doesn’t hurt either. Rosenquist hopes to become a manufacturer representative after graduating in December. A degree from UNK will help him get there. Curriculum: Includes an emphasis in agriculture, chemical and pharmaceutical, electrical, instruments, mechanical equipment and supplies, and medical. Program Partners: Winsupply, Consolidated Electrical Distributors, Womack Machine Supply, Cummins Sales and Service, Parker Hannifin, Applied Industrial Technology, North American Plastics, Ferguson Enterprises.